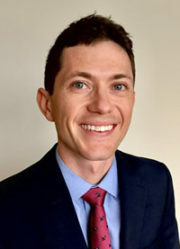 Christopher Yarnell’s goal is to improve morbidity and mortality for critically ill patients with a focus on quantitative methods and health equity. Chris is currently a second year critical care medicine fellow at the University of Toronto. His research has concerned motor vehicle trauma, differences between resident and attending physician estimates of patient prognosis, statistical methods to investigate equity across populations, and end-of-life care to recently immigrated patients. Chris is always happy to discuss the social determinants of health in critical illness, quantitative methods in clinical research, and his Scottish terriers. You can follow him on Twitter @yarnell_cj.